Rotterdam, the Netherlands — In 1943, an official of an art clearing house the Nazis set up in the Netherlands to sell looted Jewish property, approached the director of the Boijmans Museum (https://www.boijmans.nl/en) in Rotterdam. He had four works he wanted to sell, including a lovely oil painting, “Woman Seated on the Grass at the Edge of a Meadow and Reading,” by Nicolaas van der Waay. The museum director, Dirk Hannema, may not have known the painful specifics of the painting’s provenance, that it had belonged to Izaak Leefsma (https://www.joodsmonument.nl/en/page/155438/izaak-leefsma), a Jewish paint manufacturer, and his wife, Helene Leefsma-Meijer (http://redeenportret.nl/portret/16f04314-60b7-11e2-a17b-003048976c14), who had been deported and, only months before, murdered at a concentration camp. But Mr. Hannema, who served as the top museum official for the Dutch shadow government set up by the Nazis, must have known what sort of ugly business the art clearing house, the Mühlmann Agency, was up to, historians say. He bought the Leefsmas’ painting, which would remain in the Dutch museum for the next 57 years until its return to the heirs of the family in 2000. Researchers now say they have found another 30 works still in the museum that have “questionable provenance” and may have been looted, most of them acquired during Mr. Hannema’s reign as director from 1921 to 1945. Though Mr. Hannema’s relationship with the Germans has been previously recognized by historians, the details of his collaboration are being revisited these days as part of a sweeping review by Dutch museums of their war-era record. In a recent report (https://www.musealeverwervingen.nl/en/46/objects/), the Netherlands Museum Association announced that after a decade of research, Dutch museums have so far discovered 172 artworks in their collections with problematic histories, suggesting they may have been looted or sold under duress. Across Europe, museums are still grappling — some more diligently than others — with how to identify and handle works of art that may have a tainted wartime history. The Dutch drive gained significant momentum in the late 1990s, though the process has moved forward since in fits and starts. The research has expanded over time to include not just art acquired by museums before or during the war, but also gifts that came later that have suspicious gaps in their provenance. This year as part of the renewed research efforts, the Boijmans, now known as the Museum Boijmans Van Beuningen, supplemented its inventory process with a separate report by an independent historian, plus an exhibition, “The Boijmans in the War. Art in a Destroyed City” (https://www.boijmans.nl/en/exhibitions/boijmans-in-the-war), that discusses Mr. Hannema’s role. The museum director’s life is also the subject of a new biography by the Dutch art and cultural historian Wessel Krul, which was published last month. Under the Dutch system, the return of looted works is handled by a government-appointed panel, the Dutch Restitution Committee, which is now conducting further research to determine whether the works identified by the museums as problematic need to be returned. Since it was established in 2003, the panel has recommended the return hundreds of looted works of art, including 202 works from the collection of the Dutch-Jewish art dealer Jacques Goudstikker. These efforts have been commended, but critics like James Palmer, the founder of Mondex Corporation, an art recovery company based in Toronto, said restitution claims by rightful heirs are still often stymied. 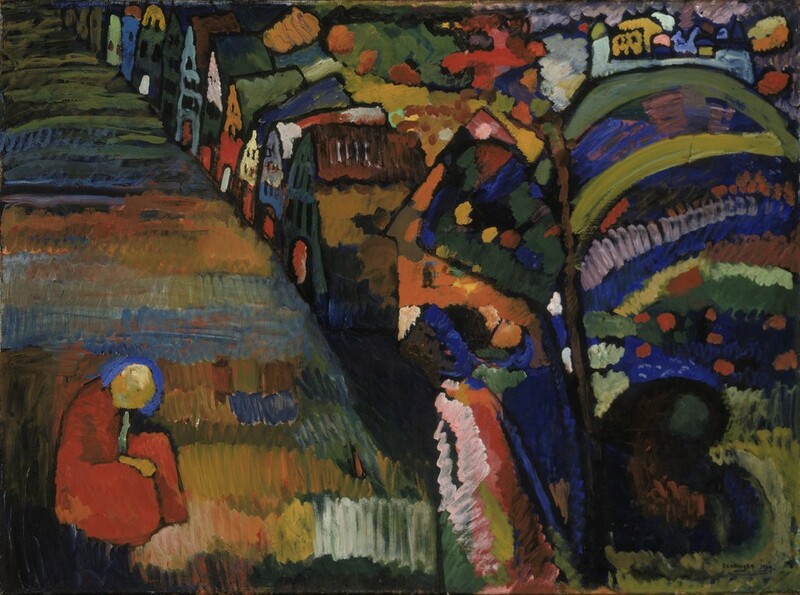 He points to the Dutch committee’s recent rejection of a claim by the heirs of a Jewish couple, Irma Klein and Robert Lewenstein, for a Wassily Kandinsky painting, “Bild mit Häusern” (“Picture With Houses,” 1909), which is in the collection of the Stedelijk Museum in Amsterdam. 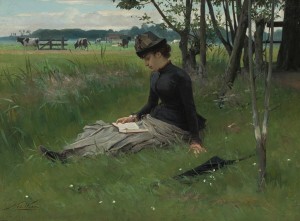 The Stedelijk had identified the painting as one of 15 works with a “possibly problematic provenance.” But the committee conducted further research and on Nov. 1 (https://www.stedelijk.nl/en/news/provenance-research) announced its binding conclusion that the museum was not obliged to return it. The committee found that the family had voluntarily cooperated in the October 1940 auction of the painting to the Stedelijk. Mr. Palmer, who represents the Lewenstein heirs, however, says there is no evidence that this is the case. “This is the systematic approach they’ve been taking against Jewish claimants for decades, and they continue to do this, and it’s incomprehensible,” he said. Many of the works that Dutch museums now see as having questionable provenance were pieces that were returned to the country by the Allies after the war, but that went into museums instead of going back to their owners. The only sale by a Dutch national museum to the Germans was a forced one facilitated by Mr. Hannema in his role as museum czar, according to the historian Lynn H. Nicholas. In the summer of 1940, just months after the Germans had invaded the Netherlands, the Nazi Reichsmarschall Hermann Goering sought to “repatriate” three German Renaissance paintings that were in the collection of the Kröller-Müller Museum in Otterlo. Selling art to the occupiers was strictly illegal under Dutch law, but Mr. Hannema agreed to assess the value of the works for the Nazis, and the three works ended up with Hitler and Goering. After the war, he was imprisoned for eight months on charges related to collaboration, but the charges were later dropped. Mr. Hannema was certainly not alone among museum officials who cooperated with the occupiers, but “he did stand out from the others in his extraordinary zeal to acquire a much higher position under the new regime in the management of cultural affairs at a national level,” Ms. Dekker wrote. In the Kröller-Muller case, for example, he said, Mr. Hannema may have helped assess the value of the artworks in part to ensure that the Dutch museum received a fair price for them. “This was a case where the Germans decided they wanted to buy the paintings, so there was no question of free will,” he said. Mr. Hannema, an ambitious curator and museum director, had an ascending career trajectory even before the war. He was credited with transforming the Boijmans from a sleepy provincial institution into an internationally respected one. A supporter of the ideology of National Socialism but not specifically the German takeover, “he was willing to go further than some other museums in his accommodation of the occupiers, but he was not a Nazi to the bitter end,” said Mr. Krul. Within two months of the invasion, he had joined the cultural advisory board that would assist the occupying forces, known as the Culture Circle, according to the book by Ms. Dekker. Ultimately, he became the “authorized agent for museum affairs,” the highest ranking Dutch museum official. There is no evidence that Mr. Hannema ever expressed anti-Semitic sentiments, Ms. Dekker said, and in fact letters he wrote that are displayed in the exhibition indicate that he tried, mostly in vain, to help certain Jewish contacts avoid deportation. Mr. Ex, director of the Boijmans, said that the museum’s efforts are intended to provide a complete accounting of its history, including blemishes like Mr. Hannema’s actions. In 1978 I was in the Netherlands, traveling through Britain and Western Europe after graduating from college. I stayed at a B&B owned by a Dutch family. After dinner, as we drank our sherry, the man showed my girlfriend and me his photograph in which he was wearing a Nazi uniform! 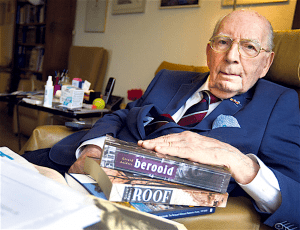 He said he had collaborated with the Nazis during the War and that, as his penance, he had spent his life since then telling others of his treacherous misdeeds. He was apparently despised in his community. He actually cried as he told us this. I was so stunned I may have been in shock. The thought of turning in his neighbors to be tortured, murdered and incinerated was too much to fathom. As horrific as his actions were, I was also moved by the thought of the awful predicament he’d found himself and his family in, back in the 1940s, when he was pressured to do this. It was one of those experiences in life that you are not sure if it really happened when thinking of it decades later. I am able to go up on Google Maps and look at the exact locations of my grandfather’s bakery and my father’s candy store in the heart of the business district of Gliwice, Poland (formerly Gleiwitz) for which my father never received a single penny of restitution from either Germany or Poland despite many years of trying. My mother who lost her elderly parents and young brother in Auschwitz after spending nearly two years in the French hell-holes of Gurs and Drancy had a similar experience. There is a widespread rumor still evident in certain circles that Jews made out like bandits in restitution money and returned art works and property in the wake of World War II, but that is far from the truth. My advice to blacks in America who now find themselves in somewhat analogous situations: keep going for the next hundred years until you get every last penny that is owed to you. … Gliwice, Poland (formerly Gleiwitz, Germany) ….. The Holocaust Museum in Washington, D.C. has a large exhibit about those gentiles who helped save/ or tried to save Jews during the Nazi years. I remember one photo that mentioned a family of Dutch farmers who were all killed for hiding Jews….. Seems to me someone with Hannema’s money and Nazi contacts could have done better if he’d really wanted to. I knew a family that spent decades and untold dollars to try to regain family art that was held in a museum in the Netherlands. They were turned down but later, when the family discovered a diary, they finally had the art returned to them. There were more pieces and in the end, a deal was made that if the art was returned to its owners, they would donate it to the museum with an appropriate plaque that acknowledged that the original owners had died in a concentration camp. Yes, they were US citizens. and no the government really doesn’t involve itself in these things. The situation of the Woman in Gold was an anomaly. Shame on the Dutch for still refusing to return art that should never have been in their hands in the first place. My friends are now deceased. Will their children have to have also died of old age before this is finally resolved? If any of the family are U.S. citizens, they have the right to use the U.S. court system to pressure the Netherlands government to return the art work in question. In an analogous case, there was a threat from the U.S. to take away the U.S. bank charter of an Austrian bank, unless Austria returned the art work (Woman in Gold). That painting now forms part of the permanent collection in the Neue Museum in New York City. It continues to amaze me that the Nazis had such an interest in art. They wanted to steal wealth, that I understand, but they showed a focus on art that is incomprehensible coming from such barbarians. What were they looking for in the beauty of art? Hitler had an interest in art: he dabbled in painting and entered one of his canvasses in an art competition. It was rejected. Who knows what course history would have taken had it been accepted. Keep in mind at one point in his life Hitler considered himself a painter. That may be a part of it? If the works in question had minor value they would have been returned long ago. I lived in the Netherlands 1996 – 2001. The matter of restitution of assets seized or forceibly acquired during the Nazi occupation was an on-going discussion then. At some point, the Dutch government stated they had lost any records of such transfers during the occupation. Some time later, student interns found these records in a disused file cabinet in an unoccupied government building much to the chagrin of the government bureaucrats. The Boijmans was also the museum that fell for the forged Vermeers of Hans van Meegeren. Van Meegeren was arrested after the war when he was accused of selling a Vermeer to Herman Goring. He decided that confessing to forgery was a softer option than treason and painted another ‘Vermeer’ to prove it. Van Meegeren’s Vermeers look so unlike anything the master ever painted that one wonders what was going through everybody’s mind. That was not a joke. But–consider the extremes. (1) The born collaborators. The traitors. The quislings. The sell-outs. The betrayers. Occupied Europe had no lack of these. Abominable wretches that cringed to the conquerors, hoping for a few scraps–flung contemptuously as to dogs or jackals. (2) The resisters. Literally. People who joined the resistance movements–the maquis as the French put it. Planted bombs. Carried out attacks on single soldiers or isolated outposts. Assassinated powerful Nazis (when they could) at whatever cost to the local population. Such people almost invariably got caught. And died–after long periods of barbaric torture and imprisonment. –that’s where it gets tricky. Very tricky. What would you do? What would I do? Just WHERE would any of us fall? –to do the right thing! And ONLY the right thing. Doing the “right thing” means NOR being a collaborator with dictators who pick on minorities as a way of distracting the average person from asking hard questions, such as those about human rights. Collaborators and dictators generally get their “just reward” in the end, for example Vidkun Quisling (who was summarily shot by the Norwegians at the end of WWII) and Benito Mussolini (who along with his paramour, was shot, his corpse beaten, and hung by its heels in public in Milan). Historically the Netherlands have a very strong reputation for religious tolerance, from the late 16th century on. It allowed Spanish-Portuguese Jews who escaped the Inquisition to settle in the Dutch lands. One was the family of Benedict Spinoza, the great philosopher. But it also turns out that during WWII a higher percentage of Dutch Jews were deported and killed in Nazi camps than those in nearby France, Belgium, and other western European nations. The reason was that the Dutch police and authorities cooperated with the Nazi occupiers more than one might have expected. This is something that should be known more widely. Read “The Destruction of the Dutch Jews” by Louis Presser. The heads of the Dutch Jewish community (the “raad van bestuur”) foolishly thought they could bargain with the Nazis, and they organized the community, including participating in selecting people for deportation, first to camps within Holland, such as Vught. Those deportees were later sent to other camps outside Holland, such as Bergen-Belsen, and were murdered. No idea if this is correct or not; but I’ve read that such a high percentage of Dutch Jews died during WWII because unlike many other conquered countries, Holland was fairly urban and “built up”….thus the hiding places were not there or were (as in the Frank family’s case) not that secure. A high percentage of Dutch Jews died because the Dutch police and local administrations were efficient bureaucrats. When Nazi officials asked for lists of identifiable Jews, they were astonished at the speed with which the request was fulfilled, sometimes by the next day. A member of my family watched Jewish women being loaded into open trucks, in broad daylight. It was explained to those who asked the Dutch policemen in attendance that they were merely going to another location, still inside Holland. They went quietly, to Vugt, because of the lie about “relocation”. Hiding and flight was not an option. After all, they were Dutch citizens, weren’t they? Amsterdam – Dat 42 Nederlandse musea eindelijk toezeggen om kunst terug te geven aan de erven van in WO II bestolen en vermoorde Joden vervult hem met scepsis. Jaap Soesan (95) is tijdens z’n jarenlange speurtocht naar het onrecht dat zijn volk is aangedaan het vertrouwen in de mens een beetje kwijtgeraakt. Zijn vechtlust niet. Vijfennegentig jaar oud is Soesan inmiddels en onverminderd strijdbaar. Het blijft maar door zijn hoofd spoken: de miljoenen in de Tweede Wereldoorlog vermoorde Joden kun je helaas niet terugkrijgen, hun door de nazi’s gestolen bezittingen misschien wel. Dus vocht hij jaar na jaar voor de Joodse belangen om nu in de herfst van z’n aardse bestaan te concluderen dat gerechtigheid vaak een utopie is. De recente onthulling dat 42 Nederlandse musea mogelijk nog 170 kunstvoorwerpen herbergen die tijdens de oorlog door de nazi’s zijn buitgemaakt; dat het doel is om de Joodse eigenaren te vinden en ze hun eigendommen terug te geven… Soesan wordt er een tikkeltje sceptisch van. Daar is dr. Gerard Aalders het mee eens. Hij werkte nauw samen met Soesan, schreef drie boeken over de materie (’Roof’, ’Berooid’ en ’Eksters’) en wanneer hij zich als een pitbull vastbijt in een zaak voelt hij zich een beetje Soesan. „Hij heeft met zijn bewonderenswaardige doortastendheid veel betekend voor de Joodse gemeenschap”, zegt Aalders thuis in Amsterdam. Soesan was voorzitter van de commissie Slapende Joodse Fondsen toen hij in het Amsterdamse stadsarchief de Duitse documenten ontdekte, waarin alle bezittingen staan vermeld van 124 Joodse verenigingen. Met die gegevens ging hij aan de slag, later samen met Gerard Aalders, jarenlang wetenschapper bij het Nederlands Instituut voor Oorlogsdocumentatie. „Soesan heeft altijd een inspirerende rol gespeeld”, zegt Aalders. Zijn boek over de Zweedse familie Wallenberg, die voor een schijntje roofkunst had weten te verzamelen, zorgde voor een rel en er werden tv-opnamen gemaakt. Sindsdien trokken Soesan en Aalders samen op. Dankzij hen moest er 400 miljoen gulden worden uitgekeerd aan de Joodse gemeenschap in Nederland, die voor 1 miljard gulden is bestolen. Charleston – De Amerikaan Bruce Berg, een nazaat van de Nederlandse kunsthandelaars Nathan en Benjamin Katz, heeft een zaak aangespannen tegen de Nederlandse staat. Via de Amerikaanse rechter wil Berg een collectie van 143 kunstwerken met onder meer schilderijen van Hollandse meesters in handen krijgen. Dat meldt The New York Times. De joodse broers deden tijdens de oorlog zaken met Rijksmaarschalk Hermann Göring en met Hans Posse, die kunst verzamelde voor het Führer museum, dat Adolf Hitler in het Oostenrijkse Linz wilde laten inrichten. Ze verdienden er aan, maar volgens de advocaten van de erfgenaam lagen de prijzen ver onder de marktwaarde en hadden ze geen enkele keus. Erfgenamen van de kunsthandelaren uit het Gelderse Dieren zagen een eerdere poging om 189 werken in handen te krijgen stranden. In 2013 werden vrijwel al hun vorderingen afgewezen door de Restitutie commissie, die de Nederlandse regering adviseert over teruggave van door de nazi’s geroofde kunst. Alleen over een schilderij van Ferdinand Bol, Man met hoge baret, oordeelde de commissie, dat het eind 1941 onder dwang was verkocht. Dat werd teruggegeven. Van alle overige werken stond volgens de commissie, of niet vast dat ze eigendom waren van kunsthandel Katz, of het was niet aannemelijk dat het onder dwang was verkocht. „De Nederlanders hebben een belang om de kunstwerken te houden, de VS hechten alleen belang aan wat eerlijk is”, stelt de advocaat van de erfgenaam. Uiteindelijk vertrok de familie Katz naar het neutrale Zwitserland. Ze mochten volgens familieleden gaan in ruil voor een Rembrandt. Dat werk kochten ze na de oorlog terug van de Nederlandse Staat. Wanneer de zaak in behandeling wordt genomen, is nog niet bekend.